Loveland Ski Area. Enjoy the Short Lines. Loveland Ski Area is a locals hill that has plenty to offer. 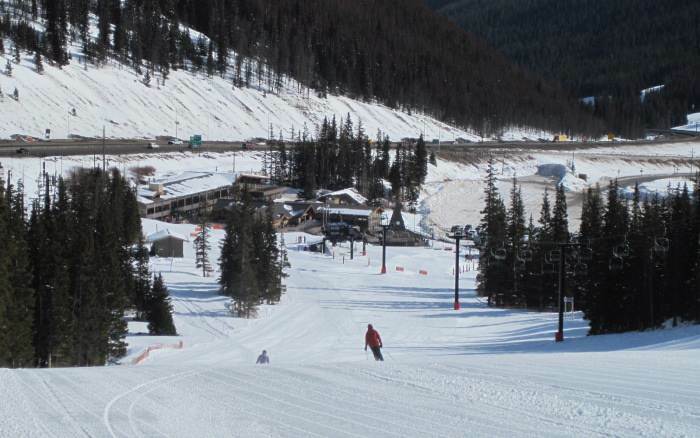 It is the closest skiing to Denver, and the cheapest. Come see why the locals love it. Equipment rental shops near the Loveland Ski Area. Loveland lift ticket prices and discount lift tickets. Guide to the Loveland Ski Area terrain park. Photos from around the Loveland area. Hiking Terrain – Here is some of the more out-of-the-way terrain in Loveland. Skiing for Kids – From daycare to bunny slopes, here is what Loveland has to offer kids. Beginner Skiing – More than just Green trails, here is how you get to be a pro.